World Wetlands Day is a national celebration of our wetlands on February 2nd. This day marks the adoption of the Convention on Wetlands of International Importance in Ramsar, Iran in 1971. The first celebration occurred in 1997, and the tradition has continued ever since. For those unsure of what a wetland technically is, it is an area of land where water cover the soil year-round or seasonally. They include things like marshes, lakes, mangroves, coral reefs, and saltmarshes. Wetlands can either have still or flowing water, and that water may be fresh, brackish, or saline. There are even underground wetlands! The theme for World Wetlands Day 2018 is wetlands for a sustainable future. Urban wetlands make cities livable in numerous ways. They reduce flooding, replenish drinking water, provide urban green spaces, and provide a source of livelihood. As the population of cities increase past the 4 billion mark and to rise, it is evident that these benefits of wetlands grow ever more crucial. It is estimated that by 2050, 66% of people will live in cities, as people move into urban areas in search of better jobs. Many people do not know how important wetlands are, and they are viewed as waste-land to fast-growing cities. Wetlands are viewed as places to dump trash, fill in, or convert to other uses. Scientists estimate that at least 64% of the world’s wetlands have disappeared since 1900, while cities have grown dramatically since then. World Wetlands Day 2018 is for raising awareness about how urban wetlands contribute to the future of sustainable cities. Half of humanity live in urban areas today, and by 2050 it is expected to increase to 66% of humanity as people move to cities in search of jobs and a vibrant social life. Cities account for around 80% of global economic output. 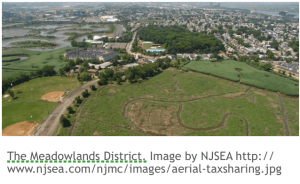 As cities expand and the demand for land increases, the tendency is to encroach on wetlands, and they are degraded, filled in and built over. However, when urban wetlands are left intact or restored, they make cities livable. Reduce flooding. Wetlands act as a giant sponge that soaks up excess water from flooding or storms. Rivers, ponds, lakes, and marshes soak up and store heavy rainfall. In coastal cities, saltmarshes and mangroves act as a buffer for storm surges. Replenish drinking water. Groundwater aquifers are an extremely important and utilized source of drinking water. Wetlands filter the water that seeps into aquifers, and effectively replenishes the water source. Filter waste and improve water quality. The silt-rich soil and abundant plant life in wetlands act as a water filter. It absorbs toxins, agricultural pesticides, and industrial waste. Urban wetlands also help treat sewage from households. Improves urban air quality. Due to their high water levels and lush plant like, wetlands radiate moist air, which naturally cools the air in the local surrounding. This is a relief in both the tropics and extremely dry climates. Promote human well-being. Studies confirm that interacting with plants and wildlife reduces stress and improves our health. When wetlands are preserved as green spaces in cities, they offer the residents a space for recreation and access to the diverse nature of wetlands. Enable people to earn a living. Many species of fish spawn and breed in wetlands, which makes them a vital fishing ground. Wetlands also have many plant species, some of which provide reeds and grasses for weaving, medicinal plants, and fruits; all valuable goods for local residents. Wetlands also attract tourism, another important source of jobs. Urban planners and decision-makers face a practical dilemma: how to meet the increasing demand for land in cities while still preserving the natural environment. Urban wetlands play a vital role in making cities safe, resilient and sustainable. Restore urban wetlands. 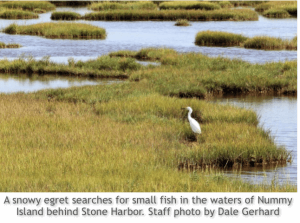 Located on the Barnegat Bay is the Edwin B. Forsythe National Wildlife Refuge, a protected Ramsar site since December 18, 1986. This site is important to waterfowl, especially northern black duck (Anas rubripes) and Atlantic brant (Branta berniclahorta), which nest at the site. It is also located on the Atlantic Flyway and supports over 200 species of birds that use the area as a nesting and staging site. Included are threatened and endangered species, such as the piping plover (Chradius melodu), bald eagle (Haliaeetus leucocephalus), least stern (Sterna antillarum), and roseate tern (Sterna dougallii). The site also supports rare sea-level fen communities, which support 6 rare plant species. It is also and important nursery for 167 fish species, 35 macroinvertebrate species, and 2 shellfish species. Reduce excessive water consumption and harmful runoff. From 2012-14, Quito received support to measure its carbon and water footprints. The city aims to decrease the municipal water footprint by 68% by 2032. There will be new policies to promote ecological toilets, water efficient appliances, and water recycling, in hope that 1.5 billion cubic meters of water consumption will be avoided. Save Barnegat Bay organized massive clean-ups of the wetlands post-Hurricane Sandy. 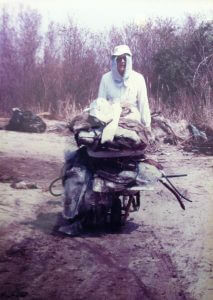 Save Barnegat Bay has been hosting clean-ups of wetlands since it’s inception in 1971. 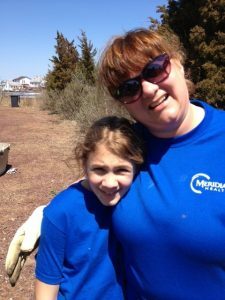 More recently, we partnered with the Visitation Relief Center in Brick Township and many other local groups to help clean-up the “wrack-line” left by Hurricane Sandy in the Edwin B. Forsythe Wildlife Refuge. In 2017, the New Jersey Watershed Ambassadors Program held 17 cleanups all around New Jersey. 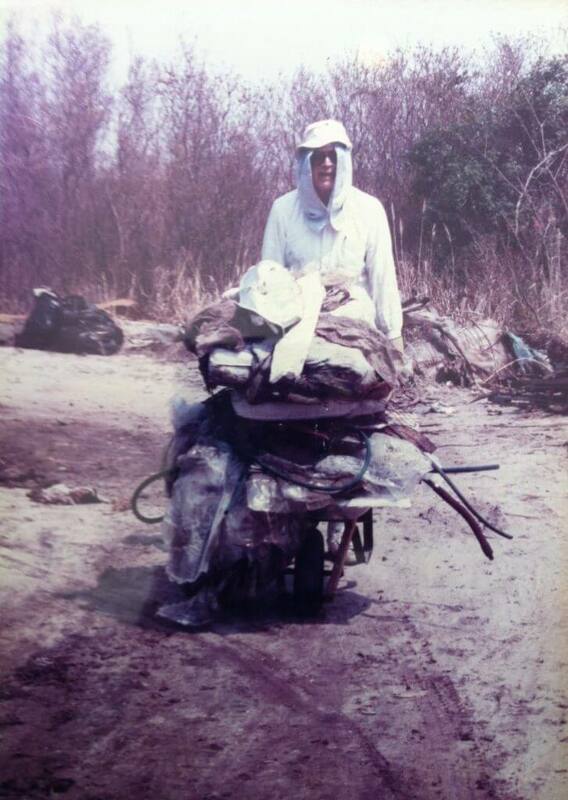 Clean Ocean Action launched its first cleanup in 1985, and since then over 5.9 million pieces of debris have been removed from New Jersey’s beached and waterways by 115,800 volunteers. Every year COA holds two cleanups, one in April and one in October. This year, the two cleanups are on April 21st and October 20th. 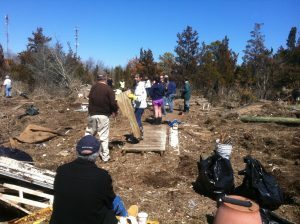 These cleanups are held all over New Jersey, so residents don’t have to travel far to help. Involve local residents in wetland planning. The Stung Treng Ramsar Site covers 14,600 hectares (56 sq. miles) of river wetland and islands along the Mekong River. Its 21 villages and 10,000 people rely on fishing for their livelihood, and it is home to the endangered Siamese Crocodile. The International Union for the Conservation of Nature held an assessment in 2007 that helped inspire a community-led movement to restrict fishing in critical zones of the Site and as well during spawning season. Now, larger fish are returning to the local waters. Integrate wetlands into policy and planning. Accra is Ghana’s capital and most populated city. It is located on a coastal plain, where wetlands provide natural flood control, water filtering, and fishing. As the city continues to grow, there is a threat to encroach on the natural wetlands. The city responded by mainstreaming wetlands into policy and planning. It is strictly enforcing building regulations and pollution controls, has defined clear greenbelts to limit sprawl, created programs that encourage residents to help conserve local wetlands, and designated two of them as Ramsar Sites. The world’s urban population is increasing by 2.4% each year, and the number of mega-cities with more than ten million inhabitants will jump from 31 to 41 by 2030. 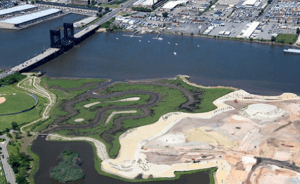 This growth spurt is an opportunity to integrate wetlands into urban planning. The Xin’an River flows right through the heart of Huangshan City, an urban center of 1.4 million people, and names after the Yellow Mountains that dominate the area. A 7.5 km stretch of the southern edge of the river has been restored to natural wetland. This brought natural flood control together with a new green belt that includes a wetland park, botanical gardens and defined housing developments. This 2000-hectare (4,940-acre) marsh located on the edge of Vientiane has long been a buffer against flooding as well as a provider of livelihoods for local fishermen, as well as a source of rice and vegetables. A recent WWF and WWT project constructed 6 water treatment wetlands here for a primary school, a paper mill, and a brewery, proving that these can be an affordable, low energy way to treat urban waste water. These systems are only a part of a larger management plan for the marsh, which also will include urban development zones. Kampala is the rapidly growing capital of Uganda. The Nakivubo Swamp covers 550 hectares (1,360 acres), covering land from the city’s industrial heart to residential areas with around 100,000 households. A 2003 estimate put the value of its natural water treatment service at $US2 million annually. Wetlands are a natural filter that reduces the contaminants that drain into natural and man-made systems. Everybody can help! Here are Mother/Daughter team helping out during a Meridian Hospital clean-up. Sure, some of this seems way too big for the average person to help with or take part in. There is more that you can do to help urban wetlands, and here are a few things to get you started. Get involved by joining a clean-up in your community and spread the word. Reduce, reuse, and recycle your trash. One of the easiest ways to help the environment and reduce trash is to follow the 3 R’s every day. Bring a reusable bag or use a reusable water bottle. Compost. Donate clothes instead of throwing them away. Install rain barrels and reduce urban and suburban runoff. Keep sidewalks, lawns and driveways clear of pet waste, trash, toxic chemicals, fertilizers, motor oil — all of which can wash into storm drains end up in our wetlands. Be smart about lawn and garden fertilizer: use a mulching mower, use non-nitrogen lawn supplements to avoid nutrient pollution. It promotes algae growth which creates aquatic dead zones and can be toxic to humans. Use non-toxic products for household cleaning and lawn and garden care. Never spray lawn and garden chemicals outside on a windy day or when rain could wash the chemicals into waterways. Choose native species when planting trees, shrubs and flowers, including wetland native plants where appropriate. Do not fill wetlands when building a new home or developing a property. Use “living shoreline” techniques at your waterfront property, making use of plant roots to stabilize soil. Enjoy scenic and recreational access to coastal wetlands while preserving their integrity for future generations. Observe park trail and trash rules.